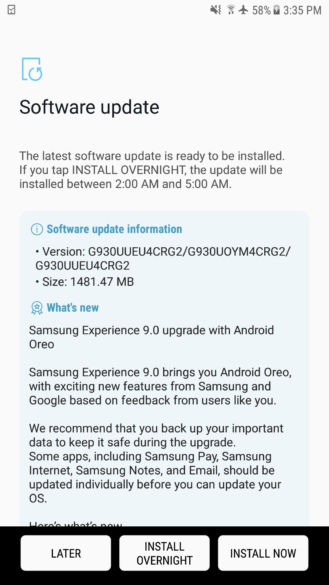 Even though all 4 major U.S carriers which are Verizon, Sprint, At&t and T-mobile have already rolled out the Oreo update for the Samsung Galaxy S7 and the Galaxy S7 edge back in June, the US unlocked version of S7 and S7 edge models (SM-G93xU) just started receiving the Android 8 Oreo update. 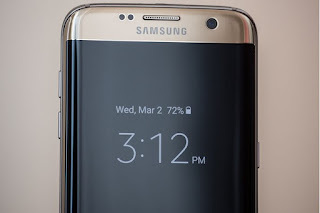 Samsung has not made any official announcement on this but users of the unlocked Samsung Galaxy S7 and S7 edge have already started receiving the update notification on their smartphone. The update which carries build number R16NW.G93xUUEU4CRG2 comes with the April security patch, some Standard Oreo features likes - Autofill, picture-in-picture, notification dots and some Samsung-specific features like Dual Messenger and high-contrast keyboard options. If you are in the U.S and you haven't received the update yet then you can manually check through your phone settings.